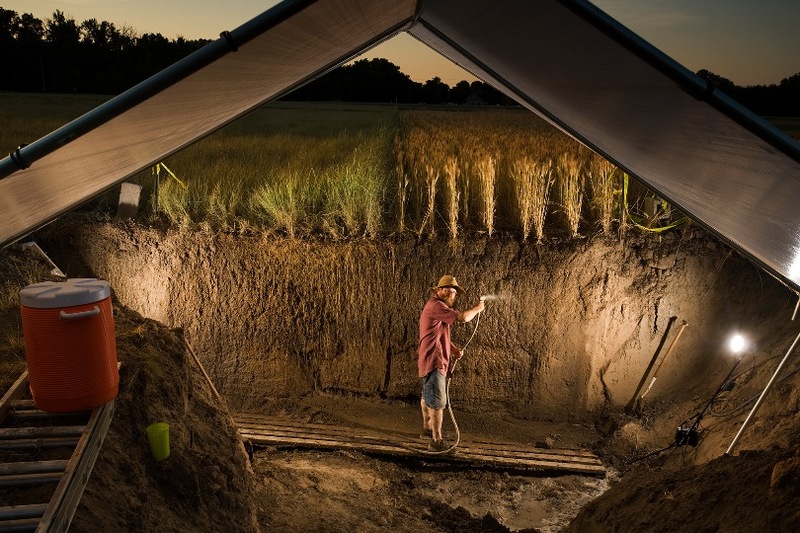 The bulk of a prairie grass plant, it turns out, exists out of sight, with anywhere from eight to fourteen feet of roots extending down into the earth. Why should we care ? 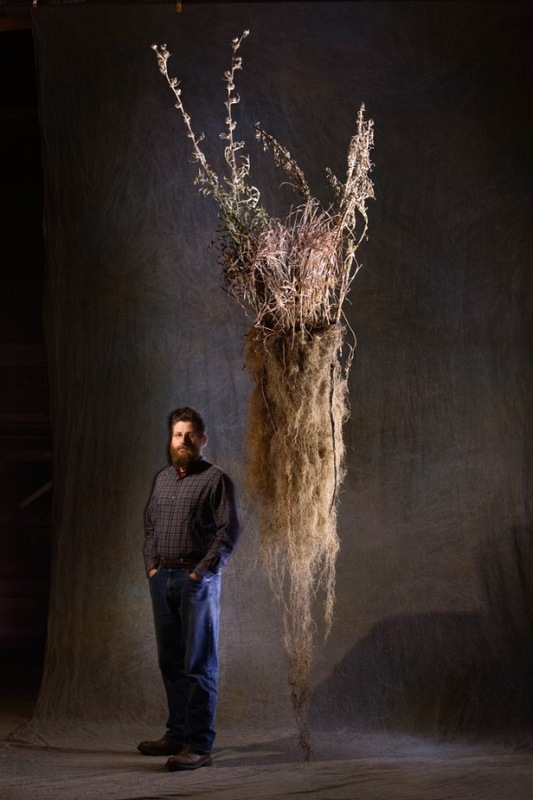 Besides being impressively large, these hidden root balls accomplish a lot—storing carbon, nourishing soil, increasing bioproductivity, and preventing erosion. Then came the second hurdle : how to capture the scale and the texture of these roots at the same time. 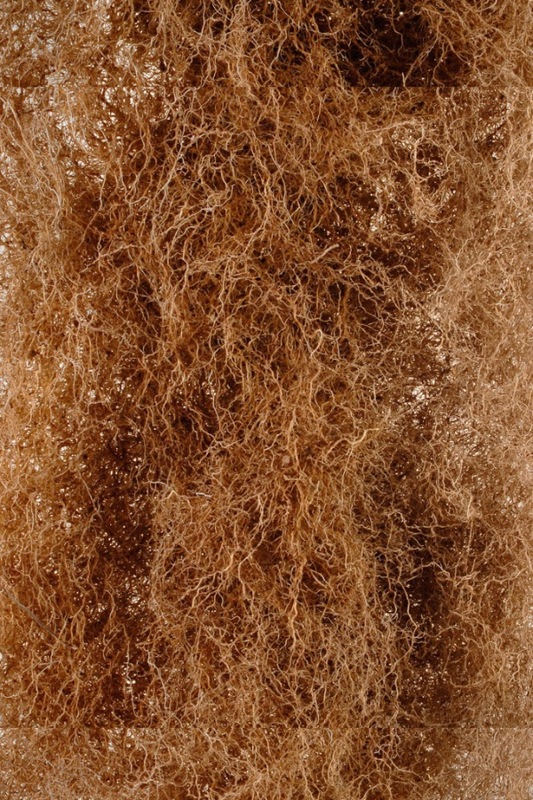 Remember, some of these roots are twice as tall as an NBA basketball player. “[Glover] basically brought the roots over to the gallery here, rolled them out on the floor, and said, ‘How can we photograph this ?’” says Richardson. Interested in how perennial grains might be developed to produce more food ? Read on, here.